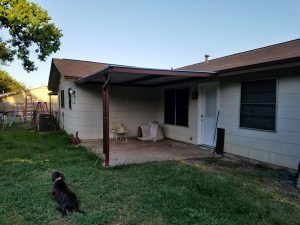 Two custom sized awnings attached to home - Carport Patio Covers Awnings San Antonio - Best Prices in San Antonio! 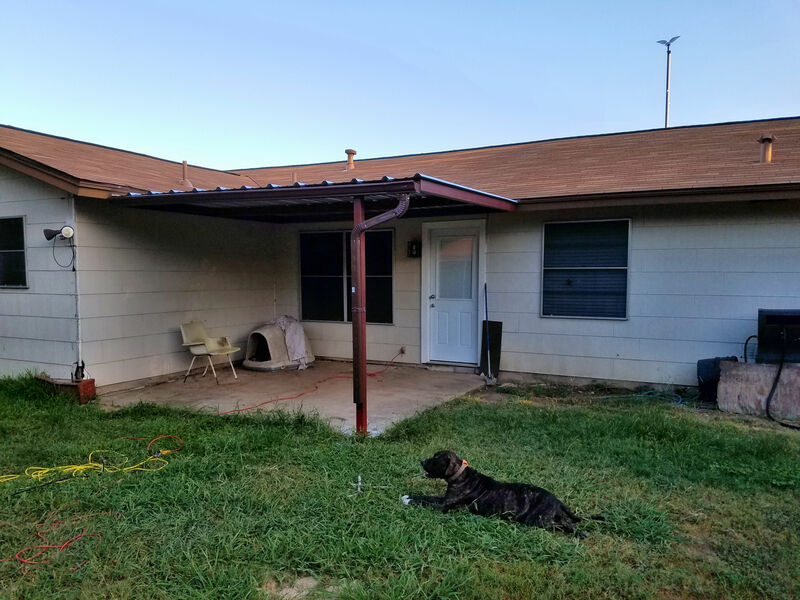 Two custom sized awnings attached to home For this home, we first removed existing wooden awnings that were rotting why not try these out. 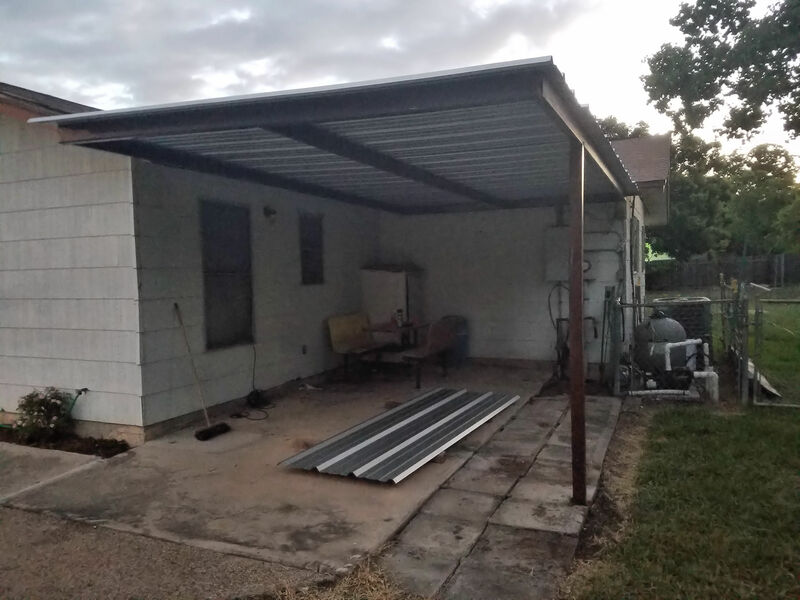 The back awning measured at 10'x12' and we used only one post, buried 24 inches into the ground in concrete. 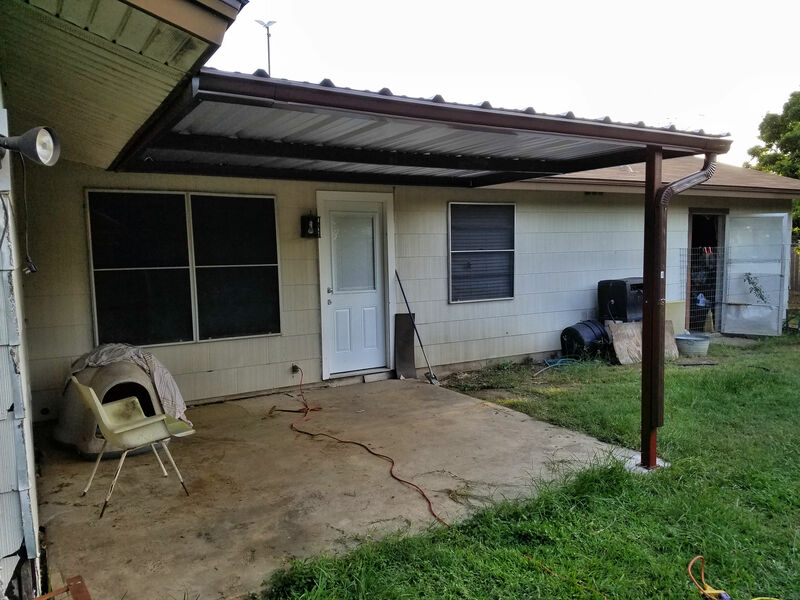 The second awning was also one post, but we attached it to the existing concrete. At customer's request, gutters were added to allow for run off.